Great coffee table book about some of the greatest guitars every produced. 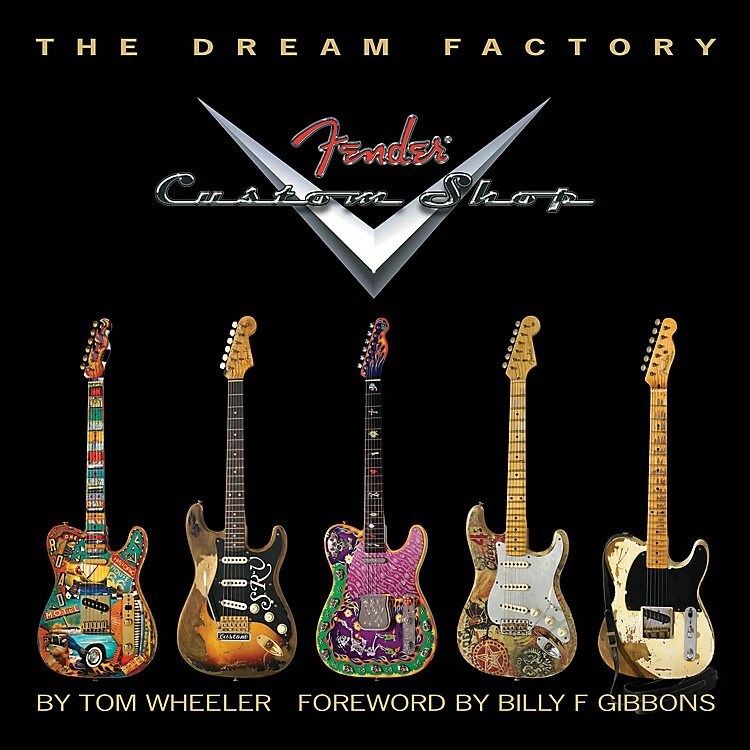 The Dream Factory is the third in a series of hardcover books, joining the award-winning titles The Stratocaster Chronicles and The Soul of Tone by author/historian Tom Wheeler. In nearly 600 pages, The Dream Factory features hundreds of full-color photos of incredibly rare, collectible, and limited-edition handcrafted guitars. Learn how the Fender Custom Shop, originally intended to employ just two master craftsmen, grew into the most prolific custom instrument shop in the music industry. ¢ More than 630 images illustrating the first master builders and their humble beginnings through the many changes up to present-day operations. Includes many one-of-a-kind custom guitar masterpieces and reproductions of acclaimed guitarists' instruments, such as Eric Clapton's "Blackie", Jimi Hendrix's Monterey Strat, Stevie Ray Vaughan's No. 1, and many more. A must-have for all guitar enthusiasts. A must-have for anyone who truly loves guitars. Makes a great gift and a great read. Order today!